CHANGING THE WAY THE WORLD SITS. It's not about sitting up straight. Our chair provides an effortless way for your body to naturally find its perfect posture. Americans spend $100 billion a year on back pain. Active sitting is a simple way to ease and prevent back pain. Engages core musculature and increases metabolic rate by 15%. Less expensive than most active sitting chairs, our design is an economical solution to improve the way you sit. "I love this chair. It keeps me upright, no slouching." Posture is your body's response to gravity. 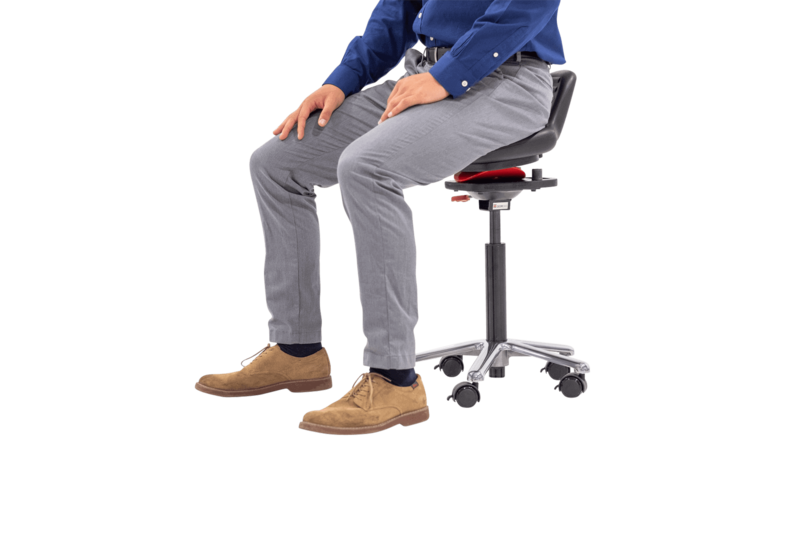 QOR360 chairs are designed to allow your hips and spine to tip, gently aligning into a natural, comfortable position. "I really can’t express how much this is relieving my lower back pain. I honestly can’t wait to get to the office and sit down!" Active sitting keeps your core strengthened and body aligned. We are designed to move, and when you stay in motion, your back appreciates it. HOW DOES ACTIVE SITTING RELIEVE BACK PAIN? Research now shows that sitting is as bad for our health as smoking. People sit more than ever (Americans, on average, sit for 11 hours per day!) and it's literally killing us. Active sitting keeps your body in motion, and helps prevent sitting disease. CHANGE THE WAY YOU SIT. Give us a call. We love to talk chairs.